Today was packed with ski and snow, that’s why I love this time of the year 🙂 We had cross country skiing, ski jumping and long-absent biathlon. 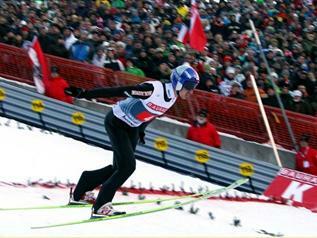 Cross country was a bit disapointing – Justyna Kowalczyk went out in the quarter-finals, that obviously was one of hers weakest starts 🙁 She of course remains at the top of the overall leaderboard, 39.1 seconds ahead of Petra Majdic, who today was unbeatable, winning all her Wednesday’s races. 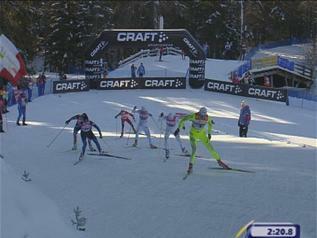 Four Hills qualifying were won by Tom Hilde of Norway ahead of German Michael Uhrmann and Simon Ammann (SUI).